Gift Bag: Win 4 Tickets (With Transportation) To Gold Cup! The first darty horse race of the season is quickly approaching and while we may have had our tickets and our outfits planned for months, we realize not everyone is as over...zealous as us. 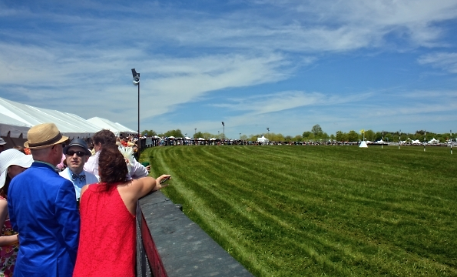 So, we have your chance to win 4 tickets to this year's Gold Cup with round-trip transportation! Win tickets for you and three of your chums by following us on Twitter and retweeting the tweet below! Want a chance to win 4 tickets to Gold Cup? Make sure you're following us and RT this tweet for your chance to win! Winners will be chosen by EOB on Friday! Dont win? Buy your tickets here!